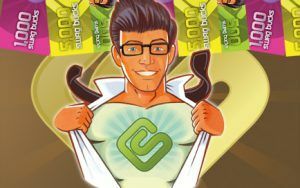 Every Friday is Mega Swagbucks Day. Mega Swagbucks Day means the awards are bigger and more often with Swagbucks. If you haven’t joined yet, get in today! I know many people, especially military families, are in a scramble right now for any extra money. Join Swagbucks TODAY and start earning amazon.com giftcards (and other prizes as well, but Amazon is the best "deal" for your points). It's free to join. Abosultey no catches, viruses, you don't have to sign up for anything at all and you won't get spam! Not sure what Swagbucks is? Read more about it HERE and the join HERE.